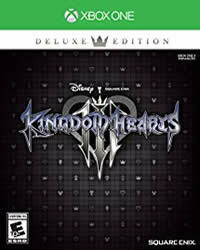 Kingdom Hearts 3 has 358 Collectibles – 245 Treasures, 90 Happy Emblems (Mickey Icons), 23 Classic Kingdom Games. For more trophies and achievements, check out our Kingdom Hearts 3 Trophy Guide. You can not miss any of these collectibles, in Kingdom Hearts 3 you have the opportunity to collect everything later (Free Roam). It is not possible to find all items in the first game, some areas are not yet available. Below you will find all the locations of the lucky emblems and treasures, arranged according to planets. Thanks man, helped a ton. I appreciate the time stamps too.